We gave the Buzz a facelift to bring you a better, more seamless experience. You’re now able to see everyone who has liked a Buzz post and Favorite another Skouter directly from their Buzz post! Android has received the facelift, and iOS is waiting to receive its makeover, so stay tuned. Make sure you have the latest version of SKOUT installed on your Android phone in order to experience this update! To see who liked a Buzz post, tap “Likes,” located directly beneath the Buzz post on the left. To Favorite a Skouter and follow their updates, tap “Favorite” below the Buzz post on the right. Not sure what to post on the Buzz? Check out this post for inspiration! 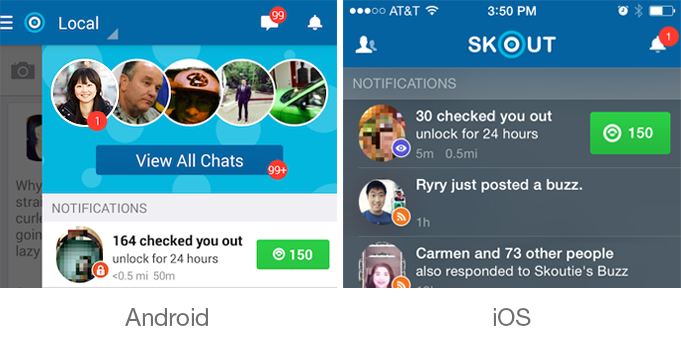 Skout's Newest Feature - Interested? - is Now on iOS! 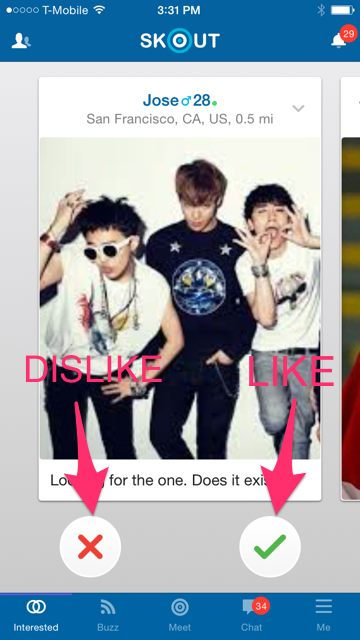 Once Skout has found the first person, a card will pop up where you can either like the suggestion by tapping the green check mark or dislike by tapping the red X. 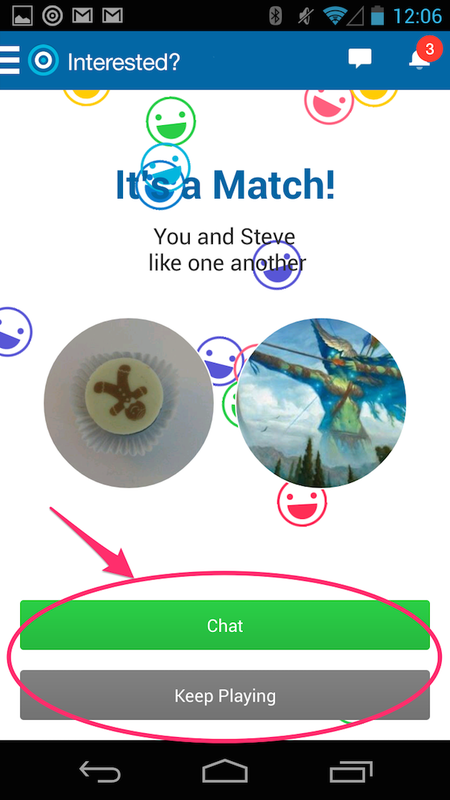 When you match with another Skouter you will be taken to a screen that reads, “It’s a Match!” You can either tap “Chat” to strike up a conversation or “Keep Playing” to browse through more suggestions. If you’ve scrolled through all of your suggested matches for the day, you will reach a screen that reads, “That’s the last of ’em.” To view more suggested matches, check back in tomorrow! 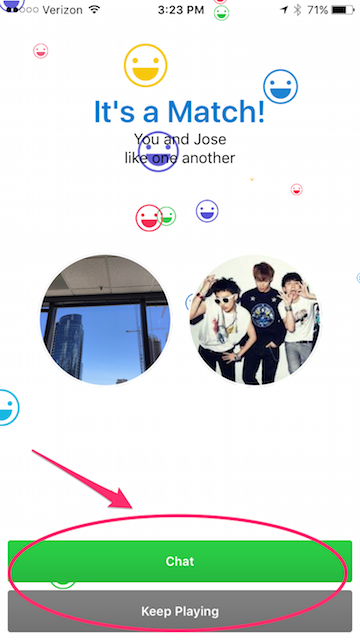 To continue browsing people near you, tap “Meet People,” which will take you to the “Meet People” grid. Once you’ve liked or dislike the suggestions, go about your Skouting or daily life, as usual. 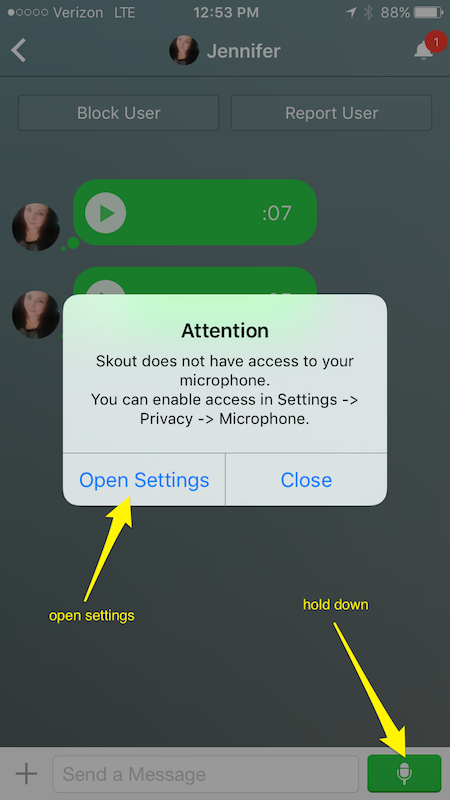 Skout will send you a push notification or chat message letting you know you have a match! For instructions on how to play the Interested? game on Android, click here. 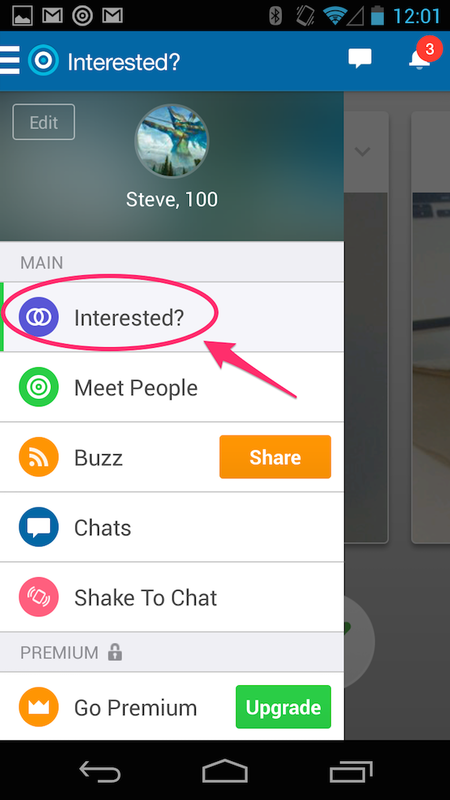 How to Use Skout's Newest Feature - Interested? Currently, Interested? is available on Android. Stay tuned for iOS! Happy Buy Nothing Day! As the holidays creep closer, keep your wallet shut on Friday, Nov. 27 and stay out of the stores by giving the free Controller to your Skout friends. You can find it in the Digital category in the Skout Gift Store. The Controller Gift is free on Friday only. Hold down the green microphone. In the pop-up window, click ‘open settings’. In your settings, turn on the microphone. Back in the Chat window, hold down the microphone to record. Should you want to delete the recording, move your finger up and release. Hold down the green microphone to record. Celebrate the discovery of King Tutankhamen's tomb by giving the Pyramids gift -- free today only in the Souvenir Shop category of the Skout Gift Store! The tomb of King Tut, Egypt's "child king," was discovered on Nov. 4, 1922 -- 93 years ago! Sweet Deal: Free Cupcakes for National Dessert Day! Give your friends cupcake gifts for National Dessert Day! To celebrate National Dessert Day -- Oct. 14 -- Skout has made cupcakes FREE in the Gift Store! Look for the Cupcakes gift in the Sweets category in the Gift Store. Tap here to learn how to give gifts in Skout. Kick Off the Season With Free Football Gifts! Show your sports spirit by giving football gifts to all your Skout friends — they’re free today in the Gift Store in celebration of the start of football season! Add Skout Sports as a friend on Skout to talk all things sports anytime. 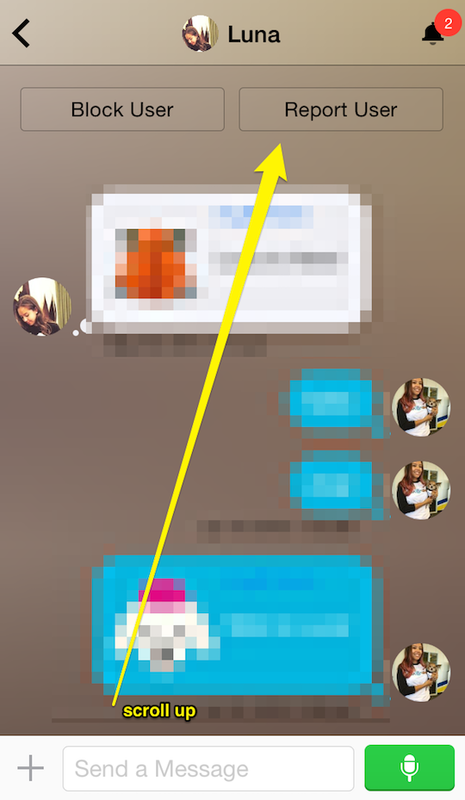 Skout Tips: Why Are Some Images Blurred in Chat? There are many ways to connect with new people on Skout, including chatting one-on-one. 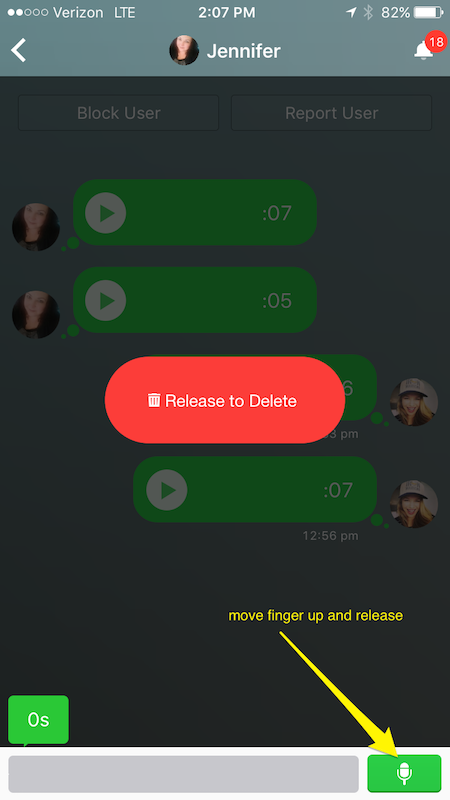 In Skout, you can send text chats, audio messages as well as images. You may be wondering: Why are some pictures sent through Chat blurred? If sent by a Skouter whom you have not favorited. If sent by a Skouter whom you have not friended. If sent by a Skouter whom you have favorited. If sent by a Skouter whom you have friended. Not sure how to favorite or friend a Skouter? Tap here to learn how! Please help keep the Skout community safe by reporting any inappropriate pictures. Reporting Chat pictures is easy – just follow the steps below. 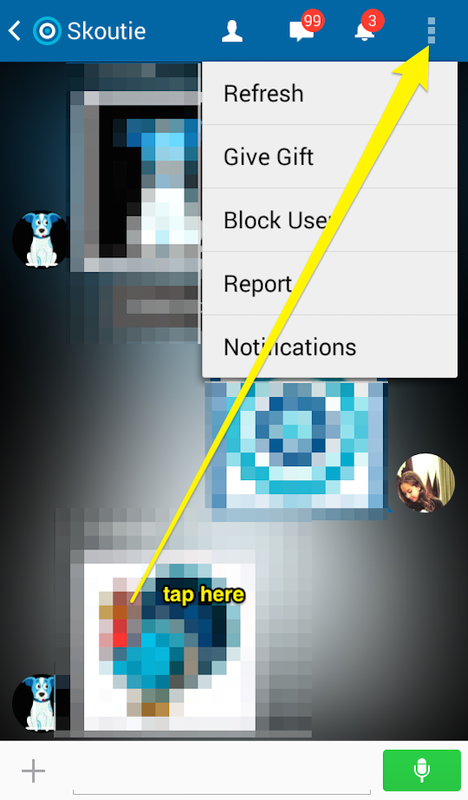 In the Chat window, tap the three vertical dots to the right of the bell icon. Pick from the list of reporting reasons. Scroll to the top of the Chat. If you think an intern is only useful for bringing you coffee, then you’re missing out on a big opportunity. Hiring an intern is a win-win situation – the intern learns real-life job skills, and the company has young brains to pick, all summer long. Here is what Skout gained from having college sophomore Corey around. In honor of our diverse community, Skout has released Flags into the Gift Store! Represent your country with the many flags from around the world and send them to your friends. Giving gifts to Skouters is a great way to get yourself noticed. Here's a handy shortcut for giving a gift in Skout! A Skouter Checked Me Out – Now What?! Find out who looked at your profile for 150 Points! Someone checked you out! 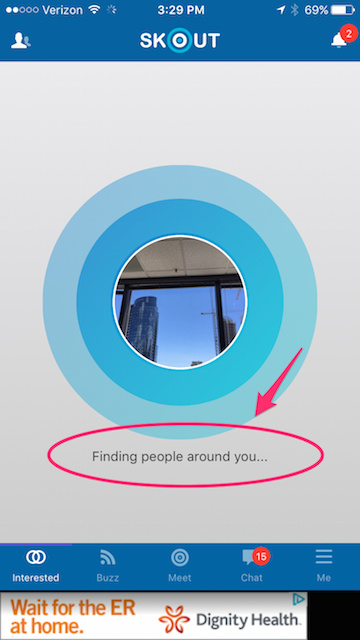 That’s a thrilling notification to receive in Skout – it means another Skouter looked at your profile. To find out who, tap on the green box in the notification. That action lets you see, for a whole 24 hours, each Skouter who has looked at your profile -- and it costs only 150 Points! Really take a look at the profiles of the Skouters who checked you out. Do you have things in common? Are you looking for the same thing, whether it’s friendship, chatting or dating? Do their photos appeal to you? Give a Gift. For the Skouter who’s a baseball fan, the Gift Store has an entire Sports category. Other categories include Flowers, Drinks, Travel and low-priced Stickers. Ask, “Are you feeling shy?” Sometimes Skouters look at profiles and then clam up. Make the first move by opening up a Chat with him or her! Use what you have in common. Stand out among all the other Skouters trying to chat with their simple “Hello,” and, “What’s up?” Ask a question based on what you read in his or her profile. Question the person decked out in Giants gear if they’ll make it to the World Series again. And ask the Financial District worker for a happy-hour recommendation. Did your Online Friend post that he or she is having a bad day? Help the Skouter escape reality by giving a gift from the new Fantasy category! Fans of “Game of Thrones,” Harry Potter and Terry Pratchett (RIP) will love the new additions to the Gift Store, including dragons, mystical horses and even a pot of gold, just in time for St. Patrick’s Day. Here at Skout, we’ve been talking about this article on the New Republic about the value of Online Friends (OFs) and their increasing legitimacy. The article states that while people used to keep their digital and IRL (in real life) lives separate, now they’re interwoven. While some people may eventually meet their OFs IRL, others are content to keep their relationships solely on platforms like Skout. We recently spotlighted a Skouter who told us all about the OF she met on Skout. They chat all the time, and while they’ve considered meeting IRL in the future, they’re also content with keeping their friendship at the level it is now. Do you have an OF you met on Skout – someone with whom you chat regularly? Please tell us about it at successstories@skout.com.